By default, Navigation Back Feature is disabled in android WebView. 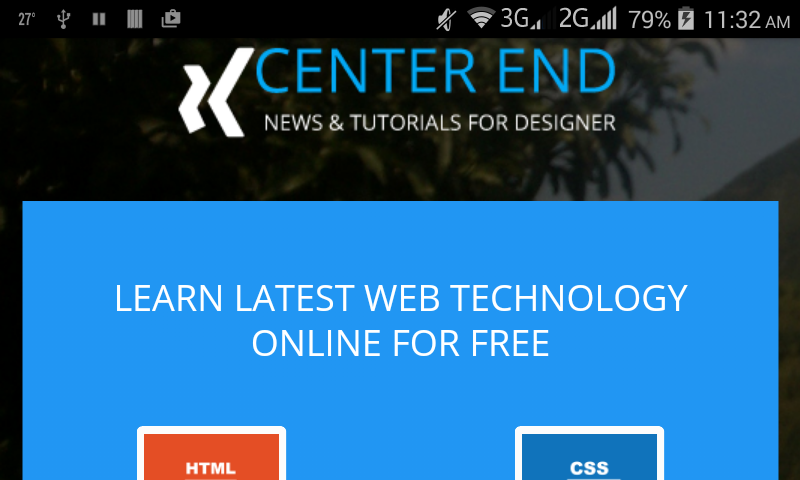 You can enable it by Overriding onKeyDown method, so in this tutorial I will teach you how to Implement Navigation Back Feature to Android WebView. To get back from your android WebView application, you need to press back button from android device. You must add the INTERNET permission to your AndroidManifest.xml file to load website in your application. So before running your WebView application, add single line code to your Android Manifest file. Now run your Implementing Navigation Back Feature to Android WebView application by just clicking Run icon. To see how Navigation Back Feature works, just click one of home screen icon like HTML, CSS, Bootstrap and for back to home page you need to press back button from your android device. Download complete Implementing Navigation Back Feature to Android WebView Application example project source code from GitHub.